Andrei Felix and Venus Raj are boyfriend-girlfriend for 4 months now. 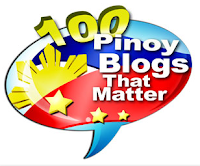 Along with fellow 'Binibini' Shamcey Supsup, Venus Raj was a guest on ABS-CBN's 'Gandang Gabi Vice' last Sunday, March 25, 2012, when she revealed to host Vice Ganda that she already has a boyfriend and he happens to be former MYX VJ Andrei Felix. Andrei, 29, and Venus, 23, are both hosts on 'Umagang Kay Ganda' and obviously, it's in the said morning show where romance blossomed between the two of them. As part of their job in the show, the two were, at times, designated to travel to various places in the country and do some live hosting there as they feature interesting things about a particular place. No courting happened, love struck them both, they felt magic and now, they're lovers! 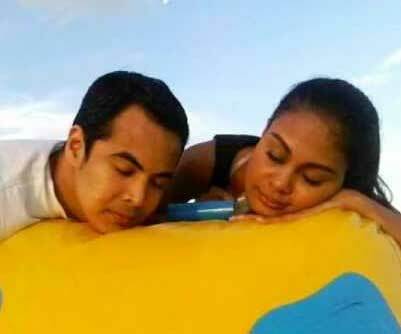 The 'sweet' photos below of Venus Raj and Andrei Felix were taken while doing their job as Umagang Kay Ganda segment hosts, and apparently, their adventures in UKG were already their opportune time to date each other. Just like Bianca Manalo, who preceded Venus in Binibining Pilipinas and is now girlfriend to John Prats, apparently height also doesn't matter for Venus Raj.